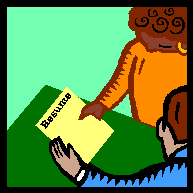 Not sure how to put together the perfect resume? Your independent college consultant can help. This isn’t our first rodeo – we know how best present your achievements in a manner that’s most helpful for those who’ve volunteered to champion you in a recommendation letter. Contact College Primers anytime to see how we can help you craft the perfect resume, solicit the best recommendation letter, or otherwise help you along the path to finding the college that fits you best.